Teachers in West Auckland will have easier access to specialist training to help struggling readers with the opening of Colwill School’s Reading Recovery Subcentre last Friday (November 30). Reading Recovery teachers provide one-to-one lessons for children around six years of age who are struggling with their literacy learning. “We welcome the opportunity to host this resource for the district’s education community and give teachers an additional centre for training,” says Colwill principal Rob Taylor. Reading Recovery teachers are trained to offer individual lessons for children around six years of age who are not getting underway with literacy learning. Schools can choose to offer the intervention, funded and supported by the Ministry of Education. “In a short period, children catch up with their peers and continue to learn alongside them”, says Reading Recovery national trainer Dr Christine Boocock from the University of Auckland’s UniServices. The subcentre at Colwill School is one of 28 training sites for Reading Recovery in New Zealand. The school has offered Reading Recovery since Mr Taylor took over as principal 15 years ago. His experience with the early literacy intervention spans most of the 45 years he has worked in education. 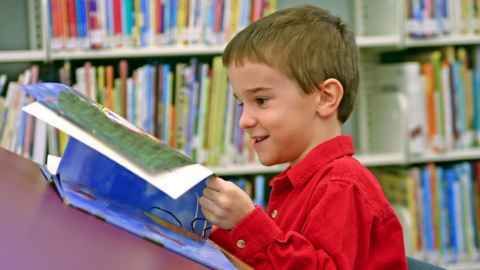 “It is proven internationally that Reading Recovery makes a massive difference for children who are finding it difficult to read. There have been attempts to make changes, but the original Marie Clay model is still the best,” he says. UniServices manages trainer and tutor services for the Ministry of Education. Reading Recovery Tutors from the team of seven based at the Auckland Reading Recovery Centre at Oranga will work with teachers at the new Colwill Subcentre. Next year, 2019, marks 40 years of Reading Recovery in schools across New Zealand and in this time more than 300,000 children have been helped. The system was developed by New Zealand educator Dame Marie Clay and has been successfully adopted by all English-speaking countries.